After a decade of alarming reports and surveys from national and international organizations, antimicrobial resistance (AMR), presently the accepted term for bacterial resistance to antibiotics, is now recognized as a major public health threat. The short- and middle-term health and economic consequences of this threat are tremendous, particularly in low- and middle-income countries (LMICs). They have been amply reviewed elsewhere (1, 2). This critical appraisal of the situation has led in 2015 to the publication of a Global Action Plan (GAP AMR) by the World Health Organization (WHO), which stresses the urgent need for action (3). Of course, WHO GAP AMR would be nothing without a major effort from each and every member state to implement its own national action plan. These efforts are now underway, and a status report is to be published. However, AMR is a very complex problem. It is much more multifaceted than any other infectious threat that we have had to face so far. Indeed, AMR is not a specific disease as are malaria, poliomyelitis, tuberculosis, or even AIDS. As far as antibiotic resistance is concerned, it is a global response of the bacterial world as a whole to the enormous global usage of antibiotics in humans, animals and in agriculture, over the last 60 years. Therefore, it affects a myriad of various bacterial species, each with its own pathogenicity, epidemiology and clinical consequences. These highly unusual characteristics of AMR require brand new counter-measures, just as multifaceted as the problem itself. These measures, which added together address the global aspect of AMR have been called the One Health approach (4). It unifies towards a single goal all efforts made to control AMR, not only in human medicine, but in other key sectors as well, such as animals, the food chain and more recently the environment. The One Health approach gained momentum as a possible key for the control of AMR and soon the question of measuring its efficacy arose. There was therefore an urgent need to set up systems that would allow measurement of the evolution of AMR in a given country and to compare it to what was going on in others. Certainly, the European Union has been a precursor by implementing among European member states comprehensive surveillance systems, for instance of AMR in humans (the EARS-net system (5) ), or of antibiotic consumption in animals (European Surveillance of Veterinary Antimicrobial Consumption (ESVAC) (6). In 2016, the Joint Interagency Antimicrobial Consumption and Resistance Analysis (JIACRA) used the relevant five European Union monitoring networks to publish the first joint report on the integrated analysis of the consumption of antimicrobial agents and occurrence of AMR in bacteria from humans and food-producing animals (7). At the same time, WHO has also been a leader in implementing the One Health approach. Nearly ten years ago, WHO gathered together a group of international and multidisciplinary experts from the various sectors at stake. This group was called AGISAR the Advisory Group for Integrated Surveillance of Antimicrobial Resistance (8). During its first meeting in June 2009 in Copenhagen, Denmark, the Group acknowledged the existence of differences in proficiency in programmes monitoring AMR in food-borne and zoonotic bacteria, and developed a five-year strategic framework to address this. The guidance was finalized during the fourth annual meeting of the WHO AGISAR in Aix-en-Provence, France, on 24-25 June 2012 (9). It is intended to provide WHO member states with key information on designing a programme for integrated surveillance of AMR. This programme may include a number of food-borne pathogens among the seven species that are mentioned. WHO has also developed the Global Antimicrobial Resistance Surveillance System (GLASS) to foster standardized AMR surveillance globally (10). GLASS focuses on eight human pathogens which pose the greatest threats to health. The first formal GLASS data call for collecting the 2016 data was open from 1 April to 1 July 2017. As of March 2017, 42 countries expressed interest in enrolling in GLASS, of which 31 are fully enrolled (11). Of note, this list of pathogens is embedded in the list of antibiotic-resistant “priority pathogens” – a catalogue of 12 families, genus and species of bacteria that pose the greatest threat to human health as published by WHO in 2017 (12). Concerning the environment, things have not yet advanced that much. The necessity of a surveillance system has, however, been acknowledged (13, 14), and a preliminary programme using sophisticated metagenomics methods has been initiated by AGISAR members between some countries (15). When these programmes have reached their full speed they will provide a very comprehensive and global picture of AMR in humans as well as in the food chain. However, they are highly complex, they use complex methodologies and deal with a great number of pathogens and the susceptibility of each will be tested to several antibiotics. Certainly this will be feasible in high-income countries but will be much more difficult to implement in many LMICs, particularly in a sustainable manner, even with a massive capacity-building effort. This is particularly worrisome because AMR is all the more severe in LMICs (16). This is why during and after the sixth AGISAR meeting that was held in Seoul, South Korea, in 2015, the question was raised of a simpler surveillance programme that could be implemented rapidly in as many countries as possible, including the poorest ones. In practice that meant to reduce as much as possible the number of pathogens and antibiotics to test, ideally to look at a single organism and type of resistance and use highly standardized and reproducible methods. Given the above-mentioned complexity of AMR this was a difficult challenge. Beyond this nickname, the project supports the concept that a simplified, integrated, trans-sectoral surveillance system of bacterial resistance to antibiotics could be implemented on a global basis. 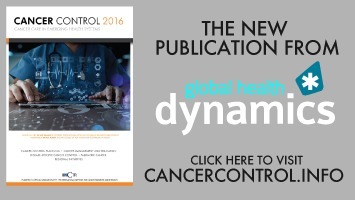 It would bring critical, timely and invaluable information to assess and track globally and over time the efficacy of the various control programmes of AMR that are and will be developed in the near future in all WHO regions, and would cover as many countries as possible, including the poorest ones. 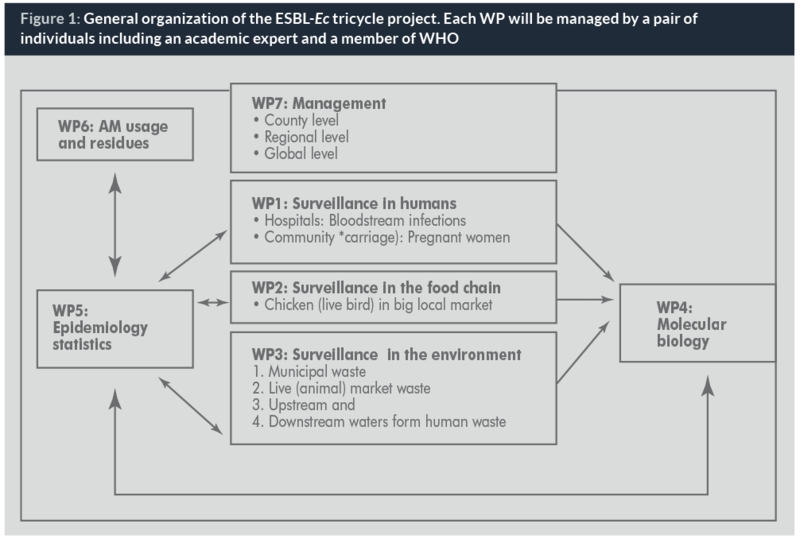 The proposed surveillance will focus on a single key indicator, the frequency rates of ESBL-E. coli, measured yearly in strictly identical and controlled conditions in the three majors sectors that are the human, the food-chain and the environment. Hence, the “tricycle” name which reflects its three-wheeled namesake. This name is also an effort to popularize the idea that the project will simultaneously address three aspects of bacterial resistance (human health, animal health and the food chain, and the environment) in a simple and elegant manner designed to provide robust, comparable and valid statistical outcomes. The choice of this unique target is because ESBL-Ec are responsible for severe morbidity and mortality in humans, with significant associated health costs and disease burdens (17). However, rates of ESBL-Ec in humans vary greatly between countries (18). This is an interesting attribute for a global indicator. In addition, these rates decrease upon efforts to control the use of antibiotics, both in humans (19) and in animals (20), suggesting it will be adequate to follow the efficacy of the implementation of NAPs. It is recognized that part of the burden associated with ESBL-Ec in humans is due to antibiotic usage in the food chain (21). ESBL-Ec are diverse and essentially ubiquitous microorganisms that can readily cross barriers between humans, animals and the environment in a cyclic and reciprocating manner. Evidently, although ESBL-Ec do not represent all aspects of AMR, they can be considered a highly relevant and representative indicator of the magnitude and leading edge of the global AMR problem. One can reasonably hypothesize that, if the ESBL-Ec pandemic was controlled, then the global burden of AMR would be reduced. In addition to being focused on a single key organism, the project has other limitations. Because of the chosen granularity (year, country) the project will not generate data on a specific subpopulation in a given country or variations within the year. It will not permit us to infer relationships or causality between the rates in the three sectors explored. By contrast, if the project is to be kept simple in order to be widely implemented, this does not mean that it cannot be an opportunity to explore side questions which may appear important in a given country. For instance, it could be an opportunity to survey concomitantly the presence of other target bacteria or resistance mechanisms (carbapenem-resistant enterobacteria are often cited) either by phenotypic or genomic methods. It is indeed expected that the dynamic induced by the project will be a unique opportunity to generate ideas and hypotheses on the emergence and spread of AMR. These side projects will be encouraged inasmuch as they have additional external funding and that they do not jeopardize the core project itself. In subsequent efforts, outputs from this project could readily be coupled with surveillance data on the use of antibiotics in animals and humans, as well as tracking major sources of their release into the environment and assessing the impact of prevention and control measures. We believe, however, that surveillance of antimicrobial use and environmental release is only a secondary priority to the implementation of surveillance of resistance, as described above. The simple organization of the project is reflected by splitting it into three parallel core workpackages (WPs) dealing with resistance in humans, animals and the environment respectively. All data gathered in these WPs will be entered into a database programme common to all countries. For the purposes of this project, WHONET (22), a WHO-sponsored software for surveillance of antibacterial resistance, seems perfectly suited to the needs, since it is readily available at no cost to end users. Another advantage of using WHONET is that training courses and online manuals have been and will continue to be supported and made available in the various WHO regions. Additional WPs will be inserted in the project as described in Figure 1, including management, epidemiology and statistics, molecular biology and usage. All efforts will be made to initiate the project in a rapid and smooth manner. These efforts are strongly supported by The Fleming Fund (23) and WHO. First, an ad hoc group of experts, most of them from AGISAR, will gather during the first trimester of 2017 at WHO headquarters in Geneva to finalize the protocols for sampling after having performed the necessary preliminary assessments of the techniques available. That done, a number of pilot countries will be chosen in the various WHO regions after an open consultation organized by the WHO regional offices. The first results from these pilot countries should be available by 2018 and lead to all necessary adjustments of the protocols and organization. Jorge Matheu, MSc, is Project Officer, Department of Food Safety and Zoonoses, World Health Organization (WHO), Geneva, Switzerland. He is a chemistry biologist from the University of San Carlos in Guatemala with a MSc in Public Health from the Rafael Landivar University. From 2000 to 2009, he was Head of the Bacteriology Department in the National Laboratory of Health of the Ministry of Health, Guatemala and National Coordinator of the National Surveillance System on AMR, as well as Laboratory Coordinator of the Food-borne Diseases Surveillance and Laboratory Coordinator of Pneumonia and Meningitis Surveillance. 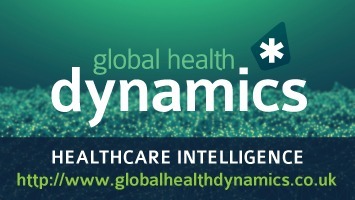 From 2010–2015 he was with the Pan American Health Organization, as specialist on antimicrobial resistance surveillance supporting the Latin American Antimicrobial Resistance Surveillance Network. Dr Awa Aidara-Kane, MSc, PhD, is Coordinator of the Foodborne and Zoonotic Diseases Unit, Department of Food Safety and Zoonoses, World Health Organization, Geneva, Switzerland, and Coordinator of the WHO Advisory Group on Integrated Surveillance of Antimicrobial Resistance (WHO-AGISAR). Dr Awa Aidara-Kane holds a MSc in Food Technology and a PhD in Microbiology from the University of Technology of Compiegne, France. Before joining WHO in 2002, she has been Associate Professor of Bacteriology and Virology in Senegal from 1984 to 1990, and Researcher at the Institute Pasteur in Dakar from 1985 to 2002. At the Institute Pasteur, she was Head of the Laboratory of Research in Bacteriology and Scientific Director of the Laboratory of Food Hygiene and Environment. Her area of research was characterization of virulence factors and antimicrobial resistance determinants in enteric and foodborne pathogens. She is involved in laboratory capacity-strengthening activities of the Global Foodborne Infections Network (GFN) and is leading WHO activities on containment of AMR from a food safety perspective. She is the WHO focal point for FAO/OIE/WHO Tripartite activities on Antimicrobial Resistance and is leading the WHO One Health work stream for the implementation of the Global Action Plan on AMR. Professor Antoine Andremont is Professor of Microbiology at University Paris-Diderot Medical School and Head of Bichat Hospital Bacteriology Laboratory in Paris. He is a member of WHO-AGISAR, dealing with AMR in the food chain. He has greatly contributed to the understanding of how bacterial resistance emerges in the intestinal microbiota during antibiotic treatments and, from there, disseminate and/or cause infections. He tries to develop means that would help to counter these effects. 4. Collignon P. The importance of a One Health approach to preventing the development and spread of antibiotic resistance. Curr Top Microbiol Immunol. 2013;366:19-36. doi: 10.1007/82_2012_224. 16. Alvarez-Uria G, Gandra S, Laxminarayan R. Poverty and prevalence of antimicrobial resistance in invasive isolates. Int J Infect Dis. 2016 Nov;52:59-61.